As the weather starts to get colder, there’s one thing on every El Pasoan’s mind: tamales! The season of the tamale is fast approaching. Before long, families and friends all across the Sun City will be bundled up in warm tiger blankets, drinking Abuelita hot chocolate, and indulging in delicious tamales. If you’d to take matters into your own hands this year, Productos Real can help! Since we stock wholesale Mexican food, you can find the perfect ingredients so your homemade tamales will taste as perfect as possible. By buying wholesale, you’ll have all the ingredients you need to make dozens and dozens of tamales for friends, relatives, neighbors, strangers, police officers, city representatives, and anyone else! Make Productos Real your go-to choice for all your Mexican food product needs. Whether you’ve lived in the El Paso area for a few years or for your entire life, you’ve undoubtedly become aware of the increased popularity of tamales during the holiday season. These warm, delectable Mexican treats are great for breakfast, lunch, dinner, or as a snack. They truly are unlike any other dish. Tamales stand on their own. They’re a snapshot of a past world. Just look at how they’re wrapped in corn husks or how they’re made with masa harina. It doesn’t get more Mexican than tamales. They’re easily transportable and can be warmed up quickly for a delicious meal. By why are they so closely associated with the holiday season? It might be due to the warm, fluffy nature of tamales. They’re comfort food so they’re perfect for those cold winter nights. Due to the labor-intensive process, tamales are often left for important occasions (such as Christmas). Tamales are great in many regards but chief among them is the sheer limitlessness of their varieties, with the most common being red and green chili with chicken. Cheese tamales and even sweet tamales exist. Simply put, tamales can span the entire spectrum of flavor. If you’d like to make some tamales for friends and family this holiday season, make sure to use the best ingredients! 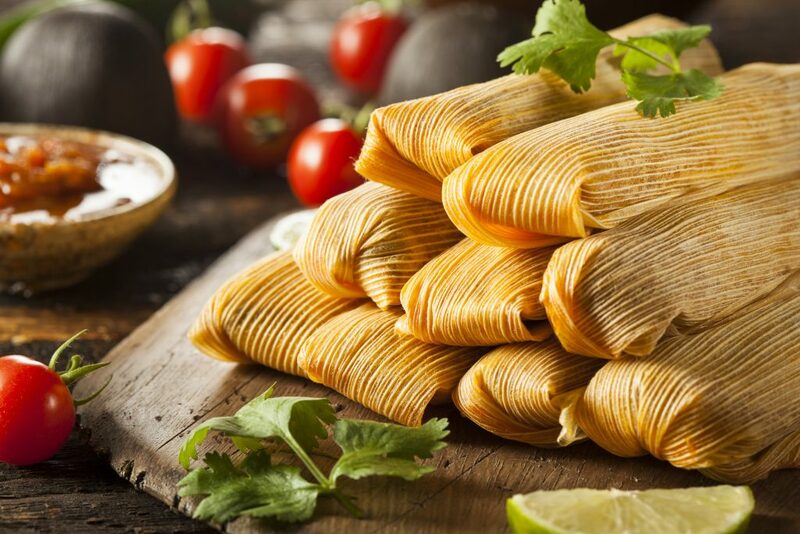 Productos Real provides only the best wholesale Mexican food so you’ll be able to get everything you need to make the most delectable tamales. Give us a call or visit us today to learn more about what we have to offer!